Have you ever desired the perfect run? Well, the folks over at Nike did, and after four years of research and development, they’ve designed a shoe that will give you just that. For the perfect run, you need a shoe with a perfect fit, and the Nike Flyknit Lunar 1+ has a fit unlike anything else we have ever seen before. The entire upper of this highly innovative runner is composed of tightly woven polyester yarn, which allows for various degrees of support and ventilation in areas where you need it most. Nike calls this a second skin like fit, where the knit construction allows for an exact fit over the foot and also moves along with you as you move. It’s the ultimate in a lightweight performance upper, and it is still able to give you all of the support and stability that you need from a great running shoe, despite the lack of materials used. The first Nike Flyknit had a brand new sole that we had never seen on a Nike shoe before, and as comfortable as it was, Nike had to step it up a notch with Flyknit Lunar 1+. As you probably have already guessed from the name, this new model is equipped with the Lunarlon sole, making for the most comfortable Flyknit yet. 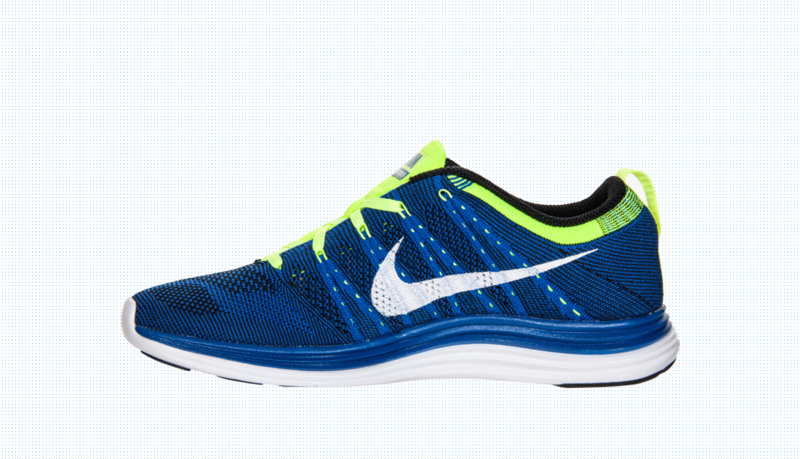 The Lunarlon foam-like material is just as comfortable as the name itself sounds, and consumers loved it as soon as Nike dropped the technology a couple of years ago. It was probably a no-brainer for the design team to equip this new model with that particular sole, and it will definitely be a step up from this Flyknit’s predecessor. 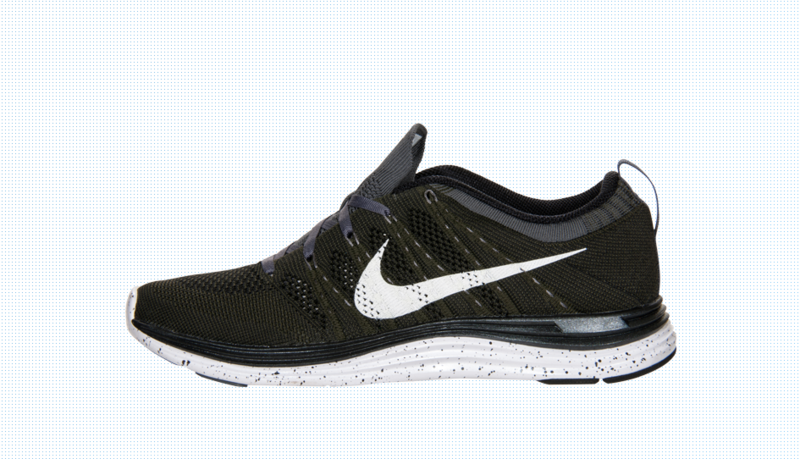 Nike Flyknit Lunar 1+ is one of those, “you got your chocolate in my peanut butter” kind of shoes. 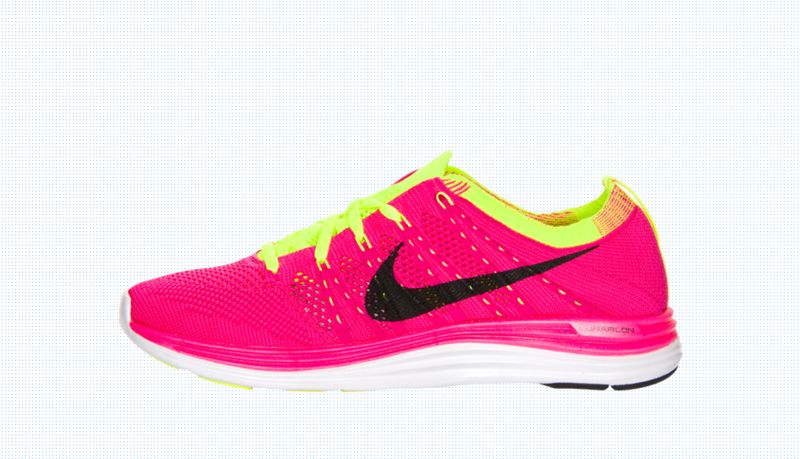 Nike had all of the parts needed for the perfect runner, and all they had to do was put them together. 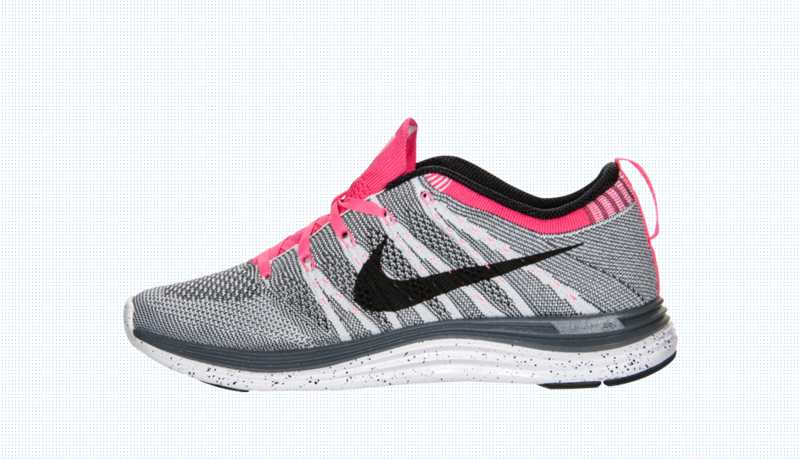 Everyone says that nothing is perfect, but Nike FlyKnit Lunar 1+ just mind change people’s minds. Nike is dropping a number of Spring-esque inspired colorways today, so make sure you don’t blow all your money on your better half this Valentine’s Day, because you will definitely want to pick up a pair of these for yourself.